ELKHART — Sally Jo Ellsworth, 76, passed away of natural causes Thursday morning, Nov, 1, 2018, at Riverside Village. She was born Feb. 1, 1942, in Elkhart County, to Lorraine Reigel and Betty Jane (Fulton) Bower. She married Robert E. “Bob” Ellsworth on June 13, 1969, in Peru. Bob passed away Dec. 31, 2014. Surviving are two daughters, Diana Holsomback-Manning of Alvarado, Texas and Tammy Jo (Mark) Hillebrand of Osceola and her son, Don (Kellie) Holsomback of Elkhart. Also surviving are five grandchildren, 16 great-grandchildren, two great-great-grandchildren as well as many nieces, nephews, friends and other family members. In addition to her husband, she was preceded in death by her father, Lorraine R. Bower; mother Betty Jane Wolf, three brothers, Carl Wolf, Don Bower and Tom Wolf; and her former husband, Lewis Holsomback. Sally Jo worked as a piccolo and flute finisher at Gemeinhardt for 30 years; she also worked out of her house finishing instruments for Hardy’s Musical and Selmer Corp. prior to working at Gemeinhardt. Sally enjoyed playing bingo and going to the casino to play the slot machines. She spent a lot of time with her family and friends, and also bowled on many women’s leagues and played golf with Bob, her son and daughter. She was a huge cat lover, especially Siamese cats and liked to watch NASCAR and the Chicago Bears. Sally Jo’s family will receive friends from 6-8 p.m. Tuesday, Nov. 6, at Billings Funeral Home, 812 Baldwin St., Elkhart. Per her wishes, cremation will follow and she will be laid to rest with her husband, Bob, in Prairie Street Cemetery. Memorial contributions may be may to the Humane Society of Elkhart County. 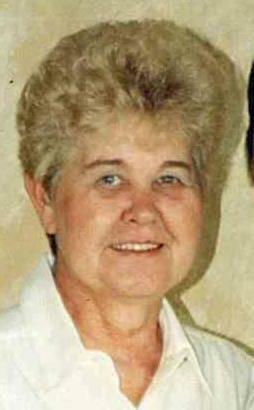 Visit www.billingsfuneralhome.com to send a condolence to Sally Jo’s family.